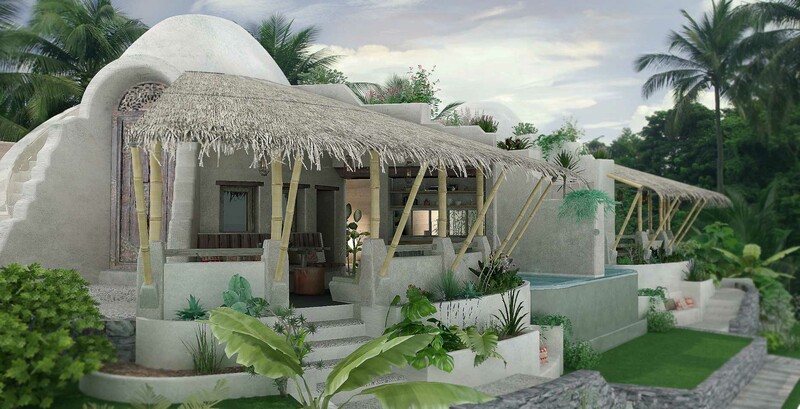 The “Tanju Dome” is our medium sized family dome, with private shower, toilet, and integrated bedroom. 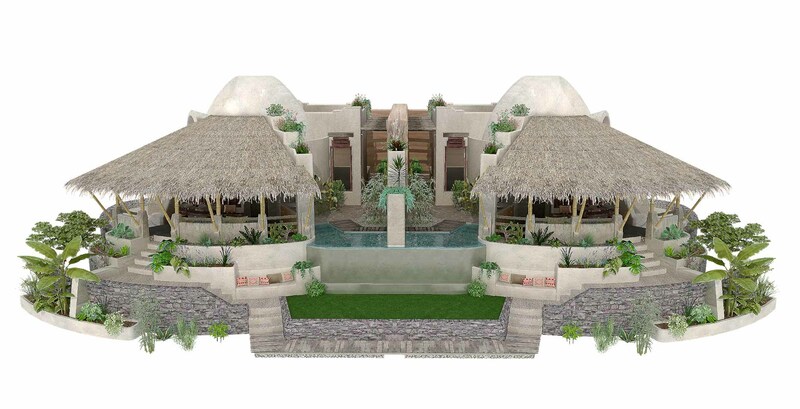 It is one of our double dome models, that is located on the front terrace. This Dome is ideal for the smaller family and has many additional options. The model shown is standard delivered with a small indoor seating area, but can easily be upgraded to a spacious extra bedroom or large chill out area. 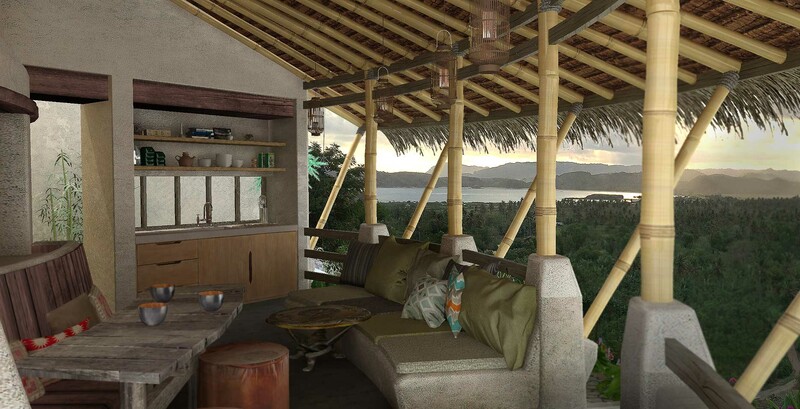 The roof will then serve as an extra outdoor terrace with a spectacular view over the Tanjung Aan Bay. 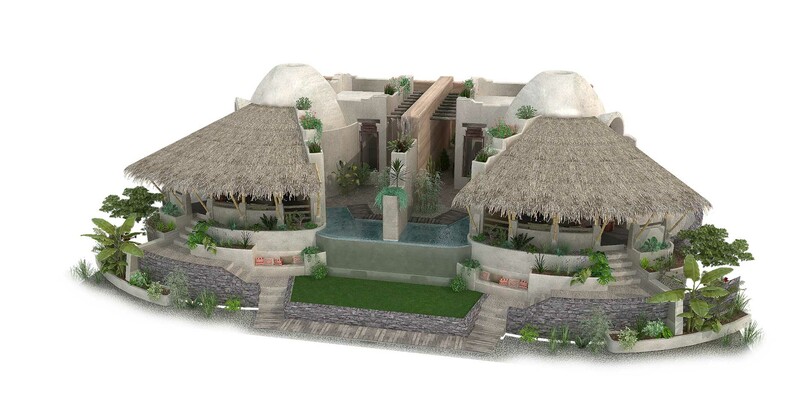 Like all the other domes, this model has a shaded outdoor seating area, and is surrounded by a lush green garden. The shower and toilet are build under the stairs that leads to the next terraces and public spaces, and can be upgraded with an extra bathtub or extra big bathroom. The basic model comes with all the normal amenities (natural air conditioner, TV, hot water, extra storage and outdoor kitchen), but we are open for any design adjustments that fit within our concept. We also offer the possibility to customise the final Tadelakt coating to your preferences. For more extensive information please download our brochure for selected design.